The feminine aspect of the divine, Sophia, has a deep presence in the Wisdom Hebrew texts of the Old Testament and was prominent in some of the earliest Christian writings. By the time the New Testament was largely established in the late 4th century AD, Sophia was all but lost within the outer teachings of the established church. Nonetheless, her presence continued to flourish, even to this day, as a source of inspiration within the lives and writings of Christian mystics. This 3-part workshop will look at how early Christianity evolved in the first few centuries AD and will also investigate how she offers us a valuable way of stepping into our own personal process, with the help of the depth psychology perspective, alchemy and the life of Thomas Aquinas, for whom Sophia was particularly significant As we rediscover the writings about Sophia, we will encounter why she is so significant for our times. As you all probably already know, Bishop Barry Beisner is retiring this year, and the diocese has selected a new bishop who will take that position in June. In the meantime, the Diocese is hosting 4 gatherings to say "so long" and Godspeed to Bishop Barry. Petaluma's St. John's was chosen to host one of those gatherings for members of the diocese who choose to come to give their thanks to him, and wish him on his way. As you know, Cram Hall is not huge, and we only have room for 120 people, so we hope you will RSVP soon!! Reservations MUST BE made IN ADVANCE due to these space limitations, and since folks are coming from other churches, we don't want anyone who really wants to come to be left out. SO -- PLEASE respond to this invitation as soon as possible before it is too late. There will not be a church service, but just a gathering with food and beverages -- something us Episcopalians do very well -- and there is no charge. BUT, you do need to sign up, and sign up soon!!! Join us as our contemplative Benedictine Study Group continues with members of the Benedictine Study Group leading the office of Morning Prayer with simple Taize chanting in the church sanctuary. We go to the library for fellowship; study of chapter one of Seeking God: The Way of St. Benedict (see below); Lectio Divina; discussion of Benedictine Spirituality; and closing prayers. More information on it can be found on our diocesan website: http://www.norcalepiscopal.org/seasonalresources. Interested in learning more about Benedictine Spirituality or Rule? Visit the Friends of St. Benedict website: www.benedictfriend.org/the-rule.html. Everyone is welcome-please let us know if you will join us. For more information, contact Paul Mascovich at pmascovich@att.net. The next meeting will be on Saturday, June 8. A donation of $20 is requested. Veriditas website by clicking here. 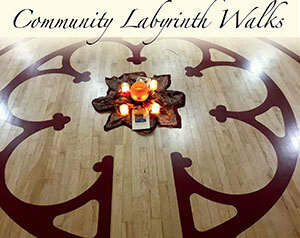 Veriditas and St. John’s are partnering to offer community labyrinth walks. Come as you are to share in the experience of a walking meditation that quiets the mind, opens the heart and reduces stress. First-time labyrinth walkers are warmly welcome. Veriditas would like people to register for each event they will attend. Please click on the title of the event to link to their website. Beginner's Lesson at 6:00 p.m. Note change of date for April. Note this new time will be for meetings in April, May and June. The Living Word/Creative Spirit Poetry Circle is on the third Friday of each month from September thru June. Fundamental questions posed by the riddles of our Humanity call out for us to seek understanding, to take time to ponder, contemplate and discuss. Free From Dogma by Rev. Tom Ravetz, a book of theological reflections, will serve as basis for our discussion. All are welcome. For further info contact Larry Temple onezelf2@gmail.com or 707-628-9870. 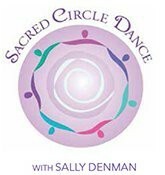 No partners or experience needed.The circle is your partner and all dances are simple and taught first. Music comes from around the world. A donation is requested. St. John’s has been hosting Taize services in Petaluma on the first Friday of the month since 2009. These candlelit services of contemplative chant and song offer participants an alternative worship experience to the traditional Sunday morning church service. The Taize service is ecumenical, providing a quiet space for spiritual communion with no preaching, no doctrine, just a calm environment for meditation and for song led by a cantor to the melodious tones of piano and cello. A donation of $10 is requested, but not mandatory.